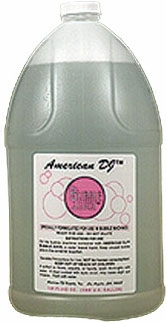 American DJ BUB/G Bubble Juice DJParts - All Variety of Parts that DJ Needs. Specially formulated for use in American DJ BU-350 and BUBBLE-BLAST Bubble Machines. Great for other manufacturer's models too!